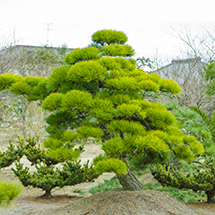 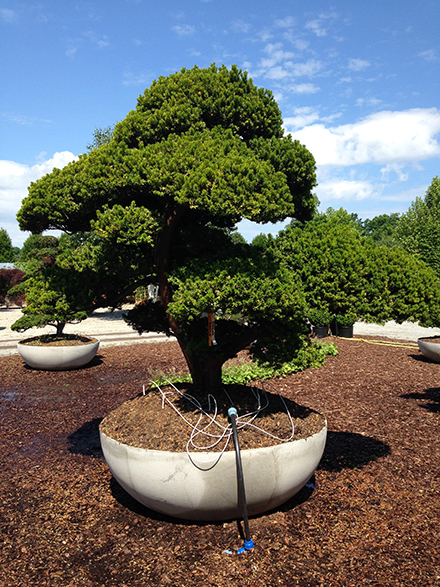 Master gardeners form the shaped trees of Japanese gardens to appear as if they aged in a wild, natural environment. 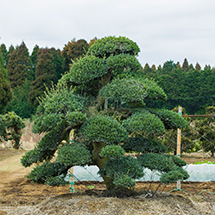 In order to give the trees their shape, the branches and trunk roots of the trees are manipulated from the seedling stage, regularly pruned and protected from insects. 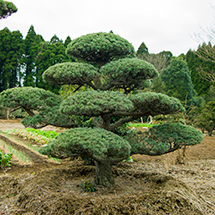 When moved to other gardens or exported, the roots are dug into a round shape and wrapped in cloth. 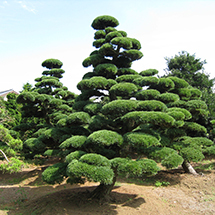 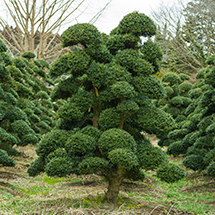 Examples of the meticulously produced Japanese Macro Bonsai compatible with each country climate and soil are introduced here.